This paintball field is just imitate the really army exercise. 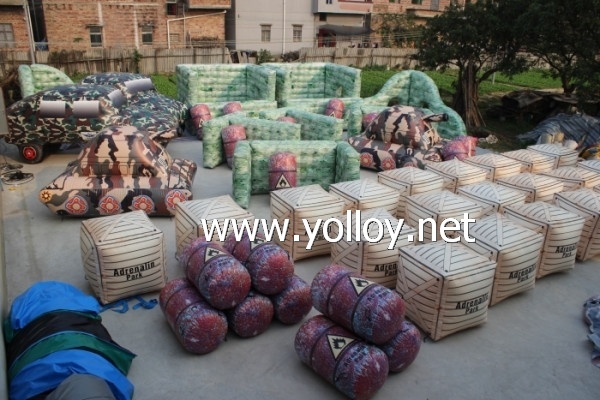 They are paintball barrels, paintball rooms, paintball ruin walls, paintball tanks, paintball cars, paintball boxes and so on. All these paintball bunkers together combine a good paintball deluxe tactical field. There are 47 bunkers in total and suitable for 7-10 people to play in the paintball field. Here the details for the paintball filed.